Pick the option below that best suits your needs. You have nothing to lose and everything to gain. 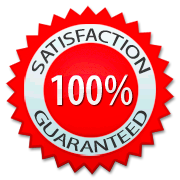 I’m so confident that SBFBuilding will help you that I’m offering a “No-Questions-Asked” 100% Money Back Guarantee. All I ask is you try out SBFBuilding for 3 DAYS and if you dont think SBFBuilding is for you, then I don’t want your money. Simply contact me jim@fordstrokers.com and I’ll happily refund your purchase in full IMMEDIATELY!